New! 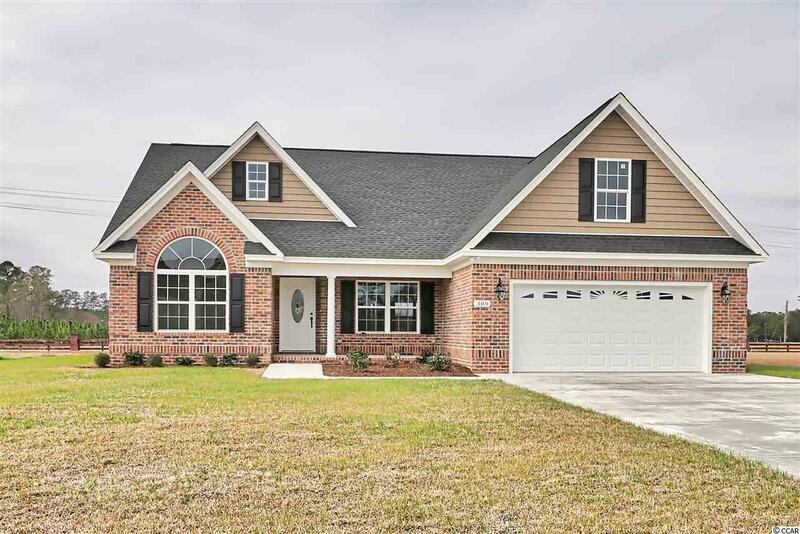 Move-in ready, all brick 4BR/3BTH home with spacious great room featuring a brick fireplace with gas logs, 10' flat ceilings, granite island kitchen, large bedrooms, and a sprawling rear screen porch overlooking a beautiful 1/2 acre lawn in the award winning Aynor school district. 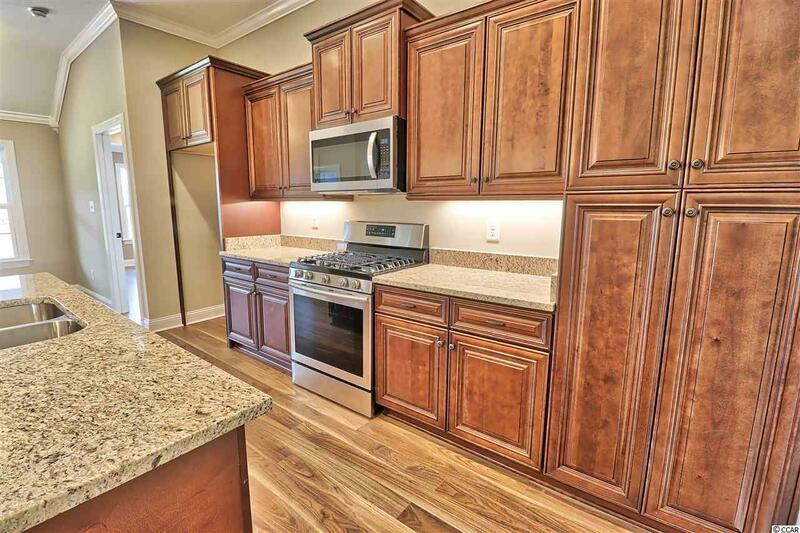 In addition to granite counter tops, this upgraded kitchen features a gourmet style gas stove, all stainless appliances, solid wood 5-piece raised-panel cabinetry, with soft close dove-tailed drawers and doors. 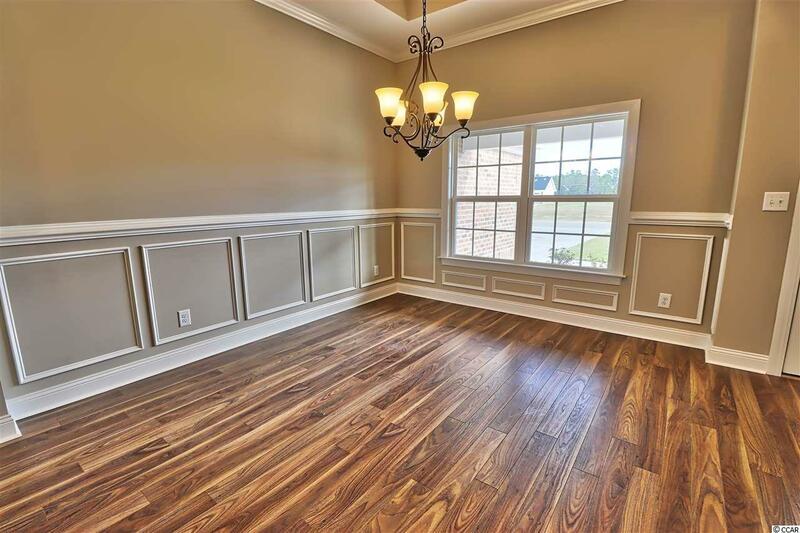 Enjoy your meals at the spacious island, breakfast nook, or the formal dining room which features two-piece chair rail and wainscoting, and an 11' crowned tray ceiling. The large master bedroom and bath features a garden soaking tub, oversized shower with glass entry door, high-quality brass body Delta valves and faucets, granite vanity tops, double sinks, and two enormous master walk-in closets. 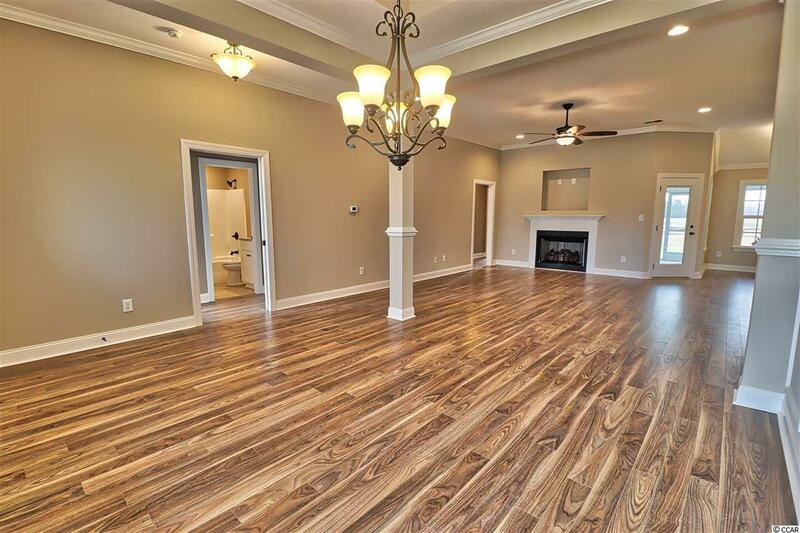 Other features include upgraded wood laminate flooring throughout, privacy pocket doors to guest bedroom wings, side entry door to garage, laundry room cabinetry, utility/mop sink, multiple additional storage and linen closets, entry door privacy blinds between the glass, and more! Exterior features include a carriage style automatic garage door with glass window for natural light, quiet belt drive garage door opener, maintenance free vinyl shake gables and dormers, brick soldier course and quoined corners, extended concrete double drive, entry sidewalk, flat-screen TV connection on screen porch wall, and more!! As an alternative to a sea of cookie cutter subdivisions, The Brickyard offers custom style brick homes on large homesites, with enough room for a detached garage/workshop, swimming pool, kids play area or garden. Landscaped brick columns adorn both entrances to the community, and wide, curb and gutter streets meander through mature Southern Pine, Maple, and Oak Trees. Ornamental street lamps light the way for a pleasant afternoon bike ride or jog. A golf cart ride up the street, leads to Aynors community pool, parks, schools, churches, local merchants, and eateries. Visit us on the web for model home hours. If youre tired of the traffic and desirous of a relaxed, small-town lifestyle, take a look at Aynor, the "Gateway to the Grand Strand. The Brickyard - A home close to the beach, a peaceful lifestyle that's light years away!